One of Severence's criminal minions, Jimmy Shoeshine, has an ST in the office of his warehouse. 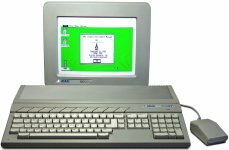 atari st was my first near-normal computer. 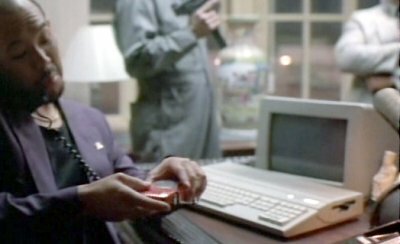 however 30 percent of those who bought it used it for games and the rest used it for games and music. noone would have bought it for work in a warehouse, it was never a workhorse reliable machine.